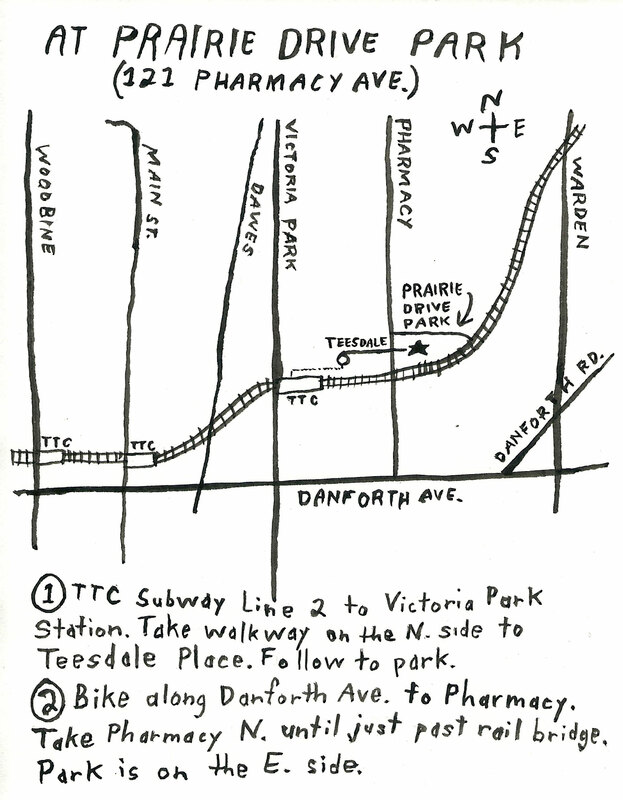 Home » NEWS » General » Free bike tune-ups by Scarborough Cycles at ‘Feast in the East 58’ on Saturday July 9, 5pm – 7pm. Free bike tune-ups by Scarborough Cycles at ‘Feast in the East 58’ on Saturday July 9, 5pm – 7pm. Scarborough Cycles will be providing free bike tune-ups and safety checks with Ward 36 Cyclists at ‘Feast in the East 58’ on Saturday July 9 from 5pm – 7pm. 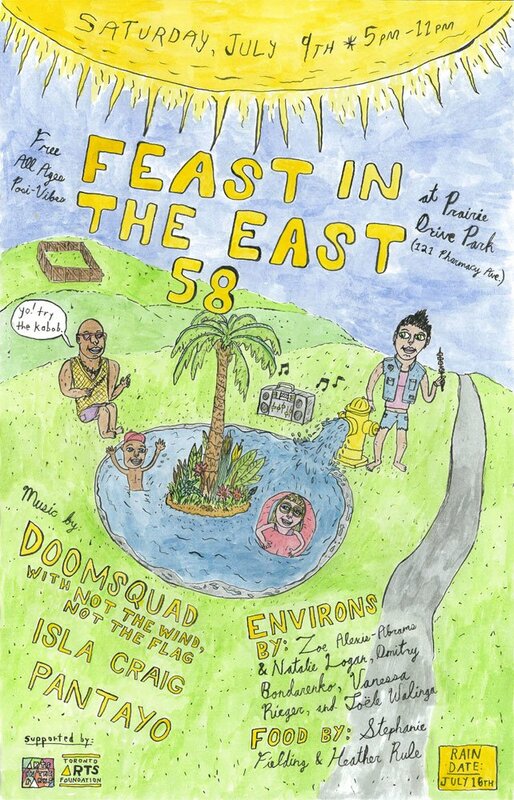 FEAST IN THE EAST is an east end music, food & art installation series. This edition takes place at Prairie Drive Park (121 Pharmacy Ave, just north of Danforth) from 5pm – 11pm on Saturday, July 9th! This edition features a free dinner by Stephanie Fielding & Heather Rule. Toronto psych trance ensemble team up with free improv. duo Not The Wind, Not The Flag for this special performance. Dark brooding synth tones with danceable beats provide a platform for hollow vocals whispers over industrial grooves. Rhythms morph and converse as psychedelic sax riffage melts into shivering guitar work. Cold passion drips from these freak beat jammers. Like the lost part music from some swamp planet in Star Wars. If the Talking Heads were a cold wave band on tour opening for Skinny Puppy. Manic phases burst out of loner headphone drones. Don’t miss this rare collaboration! Textural gentle soul music magician Isla Craig returns to Feast In The East. Her voice flows above like a cloud formation, filling all the empty space with it’s volume. Layering over it’s self, it takes you over, slowly permeating until it’s presence is unavoidable. Guitar notes float in the background and a languorous rhythm section moves forward in an effortless groove, as if propelled by the waves of Isla’s voice. The band tightens it’s grip falling into funk rhythms, with jazz ideas buried in their undergrowth. A mystical simplistic beauty with a plethora of hidden layers that reveal themselves in a whisper. Psych-soul music at it’s best. Toronto based all-women gong ensemble Pantayo creates music grounded in the kulintang traditions of Maguindanaon &T’boli peoples of the Philippines. Members Christine Balmes, Eirene Cloma, Michelle Cruz, Kat Estacio, Katrina Estacio, Marianne Rellin, and Joanna Delos Reyes mould these traditional rhythms with their own experiences, seeing kulintang gongs interact with synthesizers. Their music has an entrancing sway, an almost calming effect. Evocative of a tree dancing in the breeze. Methodical yet buoyant.